Around the world, medical authorities tell parents that it has been scientifically proven that vaccination does not cause SIDS, and sometimes they even tell parents that vaccination prevents SIDS. However, the studies that are used to justify these claims use research methods that are scientifically flawed. No one knows what vaccines do once they get inside the body, so no one knows what the time frame is for a negative effect. Implying that they do know is bordering on fraudulent. One of the studies that used assumptions about timing was done in the American state of Tennessee. The study was supported by the FDA and the CDC, partially funded by the NCHSR, and two of the four doctors in the study were Burroughs Wellcome Scholars in pharmacoepidemiology. Burroughs Wellcome is a drug company that makes vaccines. The study was an exercise aimed at whitewashing vaccines, but, ironically, it ended up providing evidence that vaccines do cause SIDS. 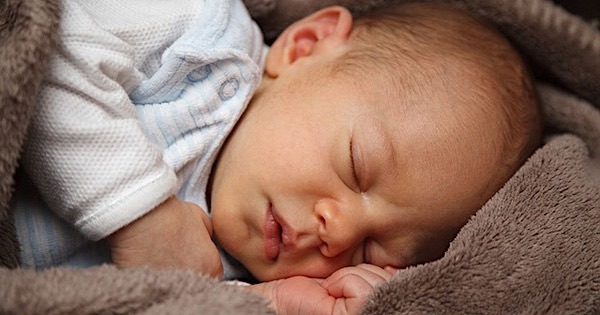 An American study of 129,834 babies looked at the possible risk factor between sudden infant death syndrome and immunisation against diphtheria, tetanus and pertussis. A total of 109 deaths in the ten-year period were classified as due to SIDS. The study published in 1988, concluded that there was no increase in the risk of SIDS after immunisation with the DTP vaccine. This sounds very impressive, but when you get to the library and read the study, you find that it is not at all impressive. For a start, it is not a study of 129,834 babies; it is a study of 109 babies. All the other babies are discarded from the study, for one reason or another. The authors make no comparison between vaccinated and unvaccinated babies, and they use a dubious method to try to prove their point. Ironically, the method they used ends up showing that vaccination does increase the risk of SIDS. The researchers had access to the records of all the babies born in four counties in the state of Tennessee. In those days polio vaccine and DPT vaccine (sometimes called DTP vaccine) were the only vaccines given to babies. At the onset of the study the authors excluded the 1.9% of babies who had been vaccinated too early according to the schedule, and the 9% for whom there was no vaccination record, and the 14% who were known to be unvaccinated. That 14% should have been used as controls to be compared with the vaccinated babies, and the 1.9% who had been vaccinated too early should not have been ignored, because in the real world babies are often vaccinated earlier than the schedule recommends, and this might be a factor that contributes to SIDS. The researchers then went on to exclude all the babies who had not died of SIDS, and they were left with 109 babies. They then measured the amount of time that had passed between the date of last vaccination and the date of death. They should instead have compared the incidence of deaths in the vaccinated group with the incidence of deaths in the 14% who were not vaccinated. The study found that there was no increase in deaths in the seven days following vaccination, so the authors conclude that DPT vaccine does not cause SIDS. Pseudo-scientists who merely want to promote a particular point of view make baseless assumptions all the time. In this study they made the assumption that if DPT vaccine can cause SIDS, it will do so within seven days. There is no scientific reason to assume that the adverse effects of DPT vaccine, or any other vaccine, will occur only during the first seven days after vaccination. The length of time it takes for DPT to depress the immune system has not been researched, but studies of provocation disease suggest that immune suppression becomes more pronounced during the second week after vaccination. When there is a virulent polio virus in the environment, vaccination against other diseases suppresses the immune system, so that people who would otherwise not have caught polio, do catch it. A study of polio in Britain in 1949 found that most cases of polio that are provoked by vaccination, start 8 to 17 days after vaccination. Another study, covering 1951 to 1953, and done by the Medical Research Council in Britain, found that the greatest number of provocation cases started from 8 to 14 days after vaccination, with the next highest number of cases starting 15 to 21 days after. In Bavaria, bad reactions to smallpox vaccination peaked 8 to 13 days after. These and other studies indicate that there is no basis for assuming that if DPT causes death, it will do so within seven days. In fact they indicate that death is more likely to occur from the eighth day onwards. In accordance with this pattern, the data from the Tennessee study showed that in the 8 to 15 days and 16 to 30 days periods there was a higher rate of SIDS than the national average. This suggests that DPT vaccine does cause SIDS. As I have mentioned, it is ironic that by attempting to prove that DPT vaccine does not cause SIDS, the Tennessee study authors ended up with data that supports the hypothesis that DPT vaccine does cause SIDS. This is a peculiar thing to say when the study did not compare vaccinated and unvaccinated children. It makes one wonder if medical bigwigs read anything while they are being paid large salaries by the taxpayer. The manufacturer of the vaccine, however, had its own strategy for maintaining public confidence in the vaccine. They circulated an in-house memo instructing employees that from then on, vials of vaccine from the same lot must be distributed widely, instead of each lot going to just one outlet. The purpose of this was to geographically spread any lots that were far more toxic than the officially acceptable level of toxicity. Being separated geographically would mean that if the lot did cause a high number of deaths, the deaths would not be clustered in one area, and would not attract public attention. One would expect Dr. Paul Offit, the world’s most notorious vaccine defender, to actually read studies before he comments on them, yet in 1999 he made the shameless statement, “Several studies performed over the past 10 years comparing children who received the DTP vaccine with those who did not receive it proved that the DTP vaccine did not cause SIDS.” No such studies had been done during the previous 10 years, nor have they been done at any other time. Another type of study used by researchers who are looking at the relationship between vaccination and SIDS is the case-control method. Case-control studies compare babies who died with babies who did not die. The researchers select a group of babies who died of SIDS within a particular geographical area, and these babies are called the cases. Each case is matched with two or three live babies who are called the controls. The vaccination history of the baby who has died is then compared with the vaccination histories of the two or three babies who have not died. Babies who have not received any vaccinations are excluded from the study. In the case-control studies that have been published, researchers have found that when the live babies were at the age at which the case baby died, they had received more vaccine doses than those who had died. This leads the authors to conclude that vaccination does not cause SIDS, a happy conclusion for those who want to promote vaccination, but far from scientifically sound. One problem with the case-control method is that it could be comparing fragile babies who are susceptible to dying from an immunological onslaught, with tougher babies who can survive being injected with animal tissue, human tissue, attenuated germs, toxic metals, toxic chemicals, and genetically engineered yeast. Case-control studies can be useful for investigating something that is static at the time of death; for example, whether the baby was sucking a pacifier, or lying face down, but the effects of vaccination are not static; they are ongoing, and they are unknown. Case-control studies can also be useful if you take all the confounding factors into account, but in the case of vaccine susceptibility, no one yet knows what the confounding factors are. Controlling for factors that are known to increase the risk of SIDS does not mean that you are controlling for factors that increase the risk of SIDS from vaccination. In the most recent case-control study, which was done in Germany, researchers found that the babies who died had had fewer vaccinations than the ones who were still alive, and that their vaccinations had been done later. The latter finding may be significant. Parents can be reluctant to turn up on time for vaccinations when they feel that their baby is unusually fragile, or when they know that vaccine reactions run in the family. Some parents who are not keen on vaccination eventually comply because of the extreme pressure that is put on them, but they do it later than at the prescribed time. Interestingly, the researchers did find a statistically significantly higher rate of developmental problems, hospital admissions, and special investigations, like x-rays or electrocardiograms, in the SIDS babies compared to the live babies. This discovery might mean that the babies with these problems, who were only 22% of the SIDS babies, were more susceptible to dying unexpectedly, and that vaccination played no role in their deaths. Alternatively, it might mean that these babies were susceptible to an unknown effect of vaccination, and that vaccination killed them. Tobacco science compares smokers who died with smokers who did not die, instead of comparing smokers with non-smokers. Vaccine case-control studies are tobacco science. Another problem with case-control studies is that they often begin with the data concerning all of the babies who are said to have died of SIDS in a selected geographical area, and then discard all the babies whose deaths were not really cases of SIDS. Back in the real world the latter babies’ death certificates still say “SIDS”, and the parents are still left with the impression that their child died of SIDS. One such study discarded 5% of the babies who had officially been declared to have died from SIDS. The whole cell whooping cough vaccine causes low blood sugar by stimulating insulin production. [17,18] The drop starts at about 8 days after injection, reaches its lowest point at about 12 days after injection, and becomes normal at about 24 days after injection. When a person dies from low blood sugar they just lie there and quietly die. It is not obvious to an onlooker why the person has died. When a baby dies from low blood sugar, the symptoms fit the criteria of SIDS. Every vaccine that is recommended for infants should be tested to find out whether it causes blood sugar levels to drop at any time after vaccination. There is anecdotal evidence that the adult whooping cough vaccine causes a drop in blood sugar in pregnant women. An adult is able to rectify the situation, while an infant is not. In 2010 a group of Canadian doctors published an article in which they considered the possibility that some children who were born with metabolic disorders may have died from the whole-cell whooping cough vaccine. There are many types of metabolic disorders, but each one occurs in only a few children. The Canadian doctors paid special attention to a metabolic disorder called medium-chain acyl-CoA dehydrogenase deficiency. After considering the biological pathways in children with medium-chain acyl-CoA dehydrogenase deficiency, the doctors concluded that one third of the babies who were born with this disorder, and who were also injected with the whole-cell whooping cough vaccine, could have died from resultant low blood sugar. Because medium-chain acyl-CoA dehydrogenase deficiency is very rare, this amounted to only 39 babies per year in the USA. The consideration of medium-chain acyl-CoA dehydrogenase deficiency was only done seven decades after the whole-cell whooping cough vaccine was introduced. There are more than four hundred metabolic disorders that need to be considered and studied. There may be other types of vulnerability apart from metabolic disorders that make babies susceptible to dying quietly from vaccination. Case-control studies are unable to detect deaths that occur because of individual susceptibility. Valentina A. Soldatenkova is a mathematician and physicist who has also expressed the opinion that case-control studies are inadequate for assessing the relationship between vaccination and SIDS. In her published critique of the existing case-control studies, she criticises the study designs employed and statistical methods used. The Institute of Medicine in the USA has the job of publishing complicated whitewashes about vaccine adverse effects, and they, of course, have done exactly that in regard to the question of whether vaccination may cause some cases of SIDS. 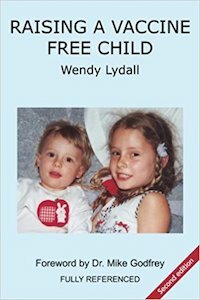 In recent years many countries have passed legislation that an autopsy must be done after every SIDS death, and they have introduced protocols that have to be followed. This is a great step forward. Previously autopsies were only done if someone felt like doing one, and they could decide what to investigate and what to ignore. One of the benefits of the introduction of autopsy protocols is that explanations are found for some of the otherwise mysterious deaths. In Germany, for example, a non-SIDS explanation for 11.2% of the SIDS deaths was found because of the autopsies. In the future, the protocols will help to identify ways to reduce the incidence of SIDS. In the mean time they help to detect infant abuse, and they help to prevent parents from being falsely accused of abuse. There are some absurd studies that have been done to “prove” that vaccination does not cause SIDS. One of them compared the number of SIDS deaths that occurred in a geographical region during the time that a certain batch of DPT vaccine was in use with the number of deaths that had occurred in the same region when the previous batch of DPT had been in use. There were a similar number of deaths in the two time periods, so the conclusion was made that DPT does not cause SIDS. The fact that one batch of DPT is not shown to cause more deaths than another batch does not prove that DPT vaccine cannot cause death. Another absurd study surveyed the breathing patterns of “at risk” babies for twelve hours after injection with DPT vaccine. They found that there was no increase in abnormal breathing during this time frame, and they concluded that this proves that vaccination does not cause SIDS. The twelve hour cut-off time is ridiculous, and periodic breathing is not an indicator of SIDS. Most babies who die of SIDS do not have a history of apnoea,[25,26] and in most cases asphyxiation is not the primary cause of death. Out of 629 autopsy reports on SIDS cases in New Zealand, only 4.9% showed evidence of oxygen deprivation. The studies that already exist range from flawed to absurd, and of course the vaccine industry is assiduously avoiding doing any studies that compare the rate of SIDS in the vaccinated with the rate in the unvaccinated. 1. Keens, T.G., Ward, S.L., et al., Ventilatory Pattern Following Diphtheria-Tetanus-Pertussis Immunization in Infants at Risk for Sudden Infant Death Syndrome. Am J Dis Child. 1985 Oct;139(10):991-4. 2. Hoffman, H.J., Hunter, J.C., et al., Diphtheria-Tetanus-Pertussis Immunization and Sudden Infant Death: Results of the National Institute of Child Health and Human Development Cooperative Epidemiological Study of Sudden Infant Death Syndrome Risk Factors. Pediatrics. 1987 Apr;79(4):598-611. 3. Brotherton, J.M., Hull, B.P., et al., Probability of coincident vaccination in the 24 or 48 hours preceding sudden infant death syndrome death in Australia. Pediatrics. 2005 Jun;115(6):643-6. 4. Griffin, M.R., Wayne, M.P.H., et al., Risk of Sudden Infant Death Syndrome after immunization with the diptheria-tetanus-pertussis vaccine. New Engl J Med. 1988 Sep 8;319(10):618-23. 5. Editor’s note, Little Treasures, Christmas ’90;53. 6. Hill, A.B., Knowelden, J., Inoculation and Poliomyelitis: A statistical investigation in England and Wales in 1949. Br Med J. 1950 Jul 1;2(4669):1-6. 7. Medical Research Council Committee on Inoculation Procedures and Neurological Lesions, Poliomyelitis and Prophylactic Inoculation Against Diphtheria, Whooping-cough and Smallpox. Lancet. 1956 Dec 15;268(6955):1223-31. 8. Stickl, H., Die Nichtenzephalitischen Erkrankungen nach der Pockenschutzimpfung. Deutsche Medizinische Wochenschrift. 1968;93:511-7. 9. Offit, P. A., Bell, L.M., Vaccines: What every parent should know. IDG Books, New York, 1999, 41. 10. Vennemann, M.M., Butterfaß-Bahloul, T., et al., Sudden infant death syndrome: No increased risk after immunization. Vaccine. 2007 Jan 4;25(2):336-40. 11. Vennemann, M.M., Findeisen, M., et al., Infection, health problems, and health care utilisation, and the risk of sudden infant death syndrome. Arch Dis Child. 2005 May;90(5):520-2. 12. Horvarth, C.H.G., Sudden infant death syndrome. NZ Med J. 1990 Mar 14;107. 13. Hirvonen, J., Jantti, M., et al., Hyperplasia of Islets of Langerhans and Low Serum Insulin in Cot Deaths. Forensic Sci Int. 1980 Nov-Dec;16(3)::213-26. 14. Read, D.J.C., Williams, A.L., et al., Sudden Infant Deaths: Some Current Research Strategies. Med J Aust. 1979 Sep 8;2(5):236-8, 240-1, 244. 15. Aynsley-Green, A., Polak, J.M., et al., Averted Sudden Neonatal Death Due to Pancreatic Nesidioblastosis. Lancet. 1978 Mar 11;311(8063):550-1. 16. Cox, J.N., Guelpa, G., Terrapon, M., Islet-cell Hyperplasia and Sudden Infant Death. Lancet. 1976 Oct 2;2(7988):739-40. 17. Stewart, G.T., Vaccination against whooping-cough. Efficacy versus risks. Lancet. 1977 Jan 29;1(8005):234-7. 18. Hannik, C.A., Cohen, H., Changes in plasma insulin concentration and temperature of infants after Pertussis vaccination. 4th International Symposium on Pertussis, Bethesda, Md. USA, IABS Special publication, 1979, 297-299, cited in Hennessen, W., Quast, U., Adverse Reactions After Pertussis Vaccination. Dev Biol Stand. 1979;43:95-100. 19. Dhar, H.L., West, G.B., Sensitization procedures and the blood sugar concentration. J Pharm Pharmacol. 1972 Mar;24(3):249-50. 20. Wilson, K., Potter, B., et al., Revisiting the possibility of serious adverse events from the whole cell pertussis vaccine: Were metabolically vulnerable children at risk? Med Hypotheses. 2010 Jan;74(1):50-4. 21. Soldatenkova, V.A., Why case-control studies showed no association between Sudden Infant Death Syndrome and vaccinations. Medical Veritas. 2007;4:1411-3. 22. Findeisen,M., Vennemann, M.M., et al. German study on sudden infant death (GeSID): design, epidemiological and pathological profile. Int J Legal Med. 2004 Jun;118(3):163-9. 23. Palmiere, C., Mangin, P., Postmortem chemistry update part I. Int J Legal Med. 2012;126(2):187-98. 24. Bernier, R.H., Frank, J.A., et al., Diphtheria-tetanus toxiods-pertussis vaccination and sudden infant deaths in Tennessee. J Pediatr. 1982 Sep;101(3):419-21. 25. Apnoea and Unexpected Child Death. Lancet. 1979 Aug 18;2(8138):339-40. 26. National Institutes of Health Consensus Development Conference on Infantile Apnea and Home Monitoring, Sept 29 to Oct 1, 1986. Pediatrics. 1987;79:292-9. Great, informative article! Thank you for that! I would love to get pdf copy for that memo from 27 August 1979. Would you be so kind to help me with it? I have a copy of the memo. Contact me on facebook and I will send it to you.